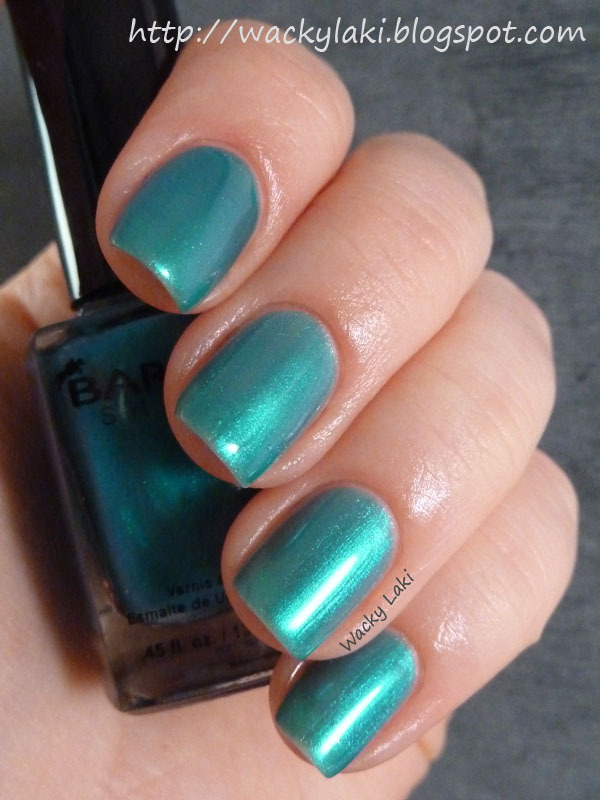 Today I have two more Barielle polishes to show you. A teal named End of the Rainbow and a glitter named Starry Sky. Starry Sky consists of hex shaped silver glitter in a clear base. I applied one thick coat of Starry Sky to get all the glittery goodness. It was easiest to apply by first placing a drop of polish with glitter on the nail and then spreading it around with the brush. This seemed to give me better control of where the glitter went to avoid empty spots. 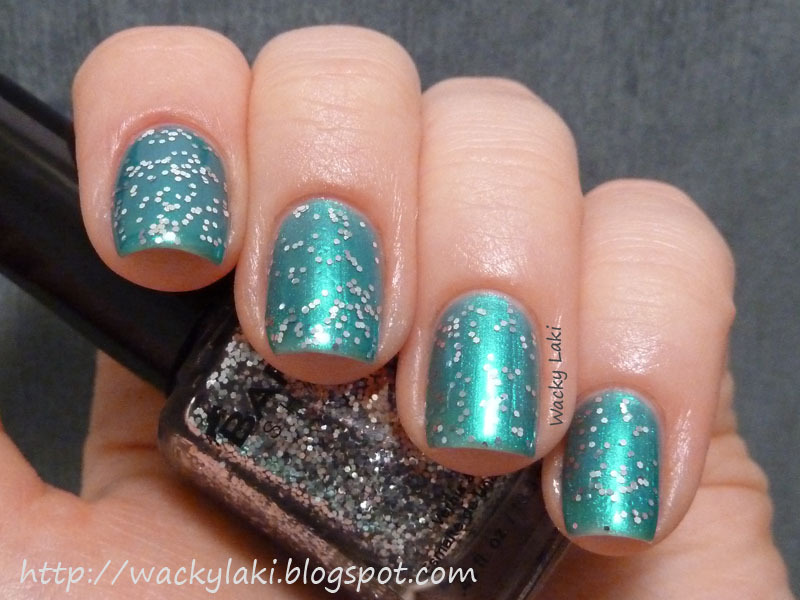 It is nice to just add a touch of sparkle to a manicure. I can picture it looking like a true starry sky if layered over a dark blue or black. I'd love to know what you think of this. What do you think of these polishes? Are you as crazy about covering up the nail line as I am?